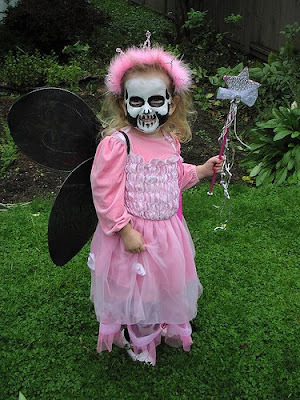 This weird collection of kid's costumes ranges from disturbing to creepy to just plain weird. I am at a loss as to why you'd want to dress your kids like this unless you wanted some funny pictures and a huge psychiatrist's bill later on. This was the first costume I found under this category of "very strange". The chicken costume on it's own would be very sweet. Maybe too sweet. Good thing an inventive parent decided to put an Aliens style arm poking out of the chest. Fake blood and baby costumes go hand in hand. From the look on the baby's face he's unaware the arm isn't real! Totally hysterical! 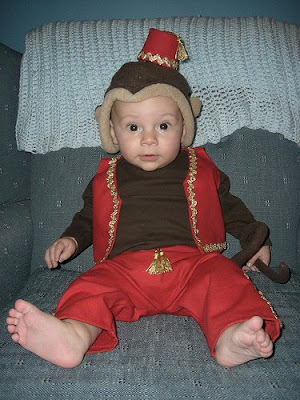 This little monkey with fez costume is really cute. But weird at the same time. Aren't these monkeys used by street people to earn money? Is that really what your want your baby to aspire to??? 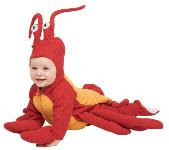 At least the baby won't get nightmares from the costume like the next one! 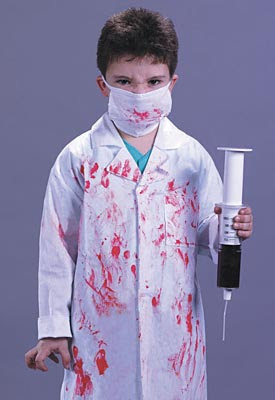 Okay, I get why a child would want to be a doctor for Halloween. It's such a noble profession. Any parent would be proud to have a kid in med school. I'm not sure that's where this kid is headed though... This one will really help kids with a phobia about doctors! I dig the giant needle and claw hand. Like being in a doctor's coat and mask smeared with blood wasn't enough! This one is all about the make-up. It's totally reminiscent of the Cure (which I personally love). I actually think this one is adorable although slightly disturbing. Not everyone wants to be a princess for Halloween! Okay, this girl did want to be a princess for Halloween. 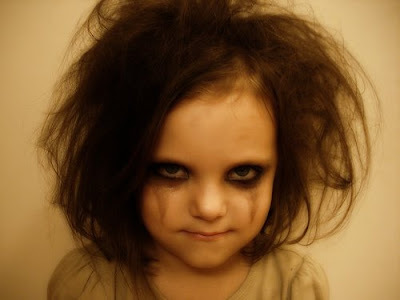 It's just that she wanted to be a zombie princess! I love the black lipstick and tousled hair. She's far too cute to be a zombie! Ahhh, what the heck is that! 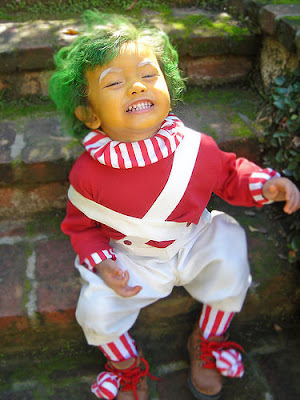 Oh, it's an oompa loompa. Those little guys from Charlie and the Chocolate Factory always creeped me out. How can a whole factory be run by tiny green men who never leave? This one seems cute at first until you see pictures of this kid being carried around in a giant stainless steel pot. Funny but awfully reminiscent of the witch in Hansel and Gretel trying to fatten up the kids before eating them. Oh my gosh, it's the $700 billion dollar bail out plan! 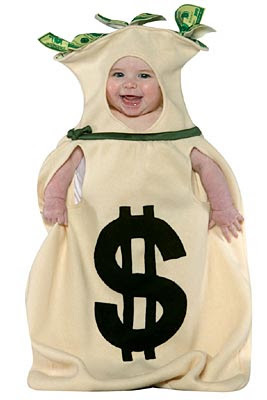 All the Wall Street babies are going to be dressed like this in 2008! These ones are both for babies although I guess they're too gruesome to be photographed for the web site selling them with anything but dolls. They're a receiving blanket with a big hole in it that you stick your adorable chubby little baby into. Snap down the hideous creature over top and voila! 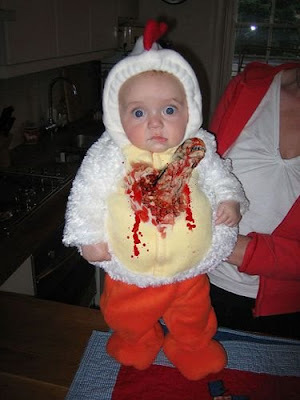 Gruesome, disgusting baby costume. Can you imagine what a baby would look like nursing in this get up? Here's some Halloween toques for parents who have great health care plans that cover lots of counseling. There's the bloody brain, the squid brain eater and the rat eating a brain. Decisions, decisions. This costume is just plain weird. It shows you the creativity that lazy teenagers have. I bet this is what my son will be wearing if he reads this! 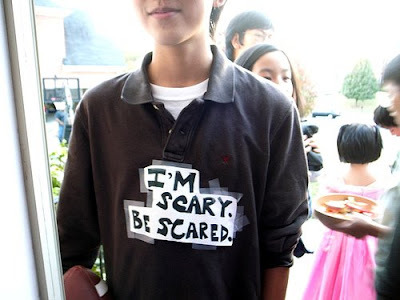 Some Halloween costumes are cute, some are funny, weird, commercial or scary. And some are down right strange. 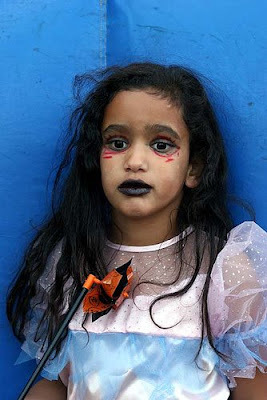 Kids of all ages do love Halloween though. Not only do you get to play dress up, but you also get paid with candy to do it!